Skiing and riding the San Juan Hut System is a true outdoor experience. 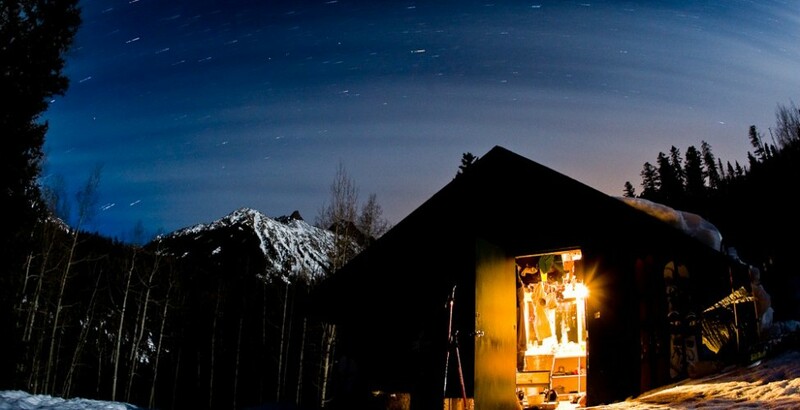 Consisting of five backcountry huts between Telluride, Ridgway and Ouray, the San Juan Hut System is connected by trails in the Mount Sneffels Range of the San Juan Mountains. Each hut can be accessed on its own or advanced skiers can travel hut to hut in the European tradition. The routes to, and between, the huts are designed for intermediate skiers and riders. Additional skiable terrain for more adventurous intermediate, advanced and extreme skiers and riders can be found above each hut. Each wooden hut has a capacity of eight with padded bunks, propane cook stove, propane lamp, wood stove, firewood and all necessary kitchen equipment. Water is obtained by melting snow. Reservations are required. See listing for San Juan Hut Systems for details.